There are some ancient trees at Blendon. Some of them have been logged and dated for the Woodland Trust’s Ancient Tree Hunt (www.ancienttreehunt.org.uk). 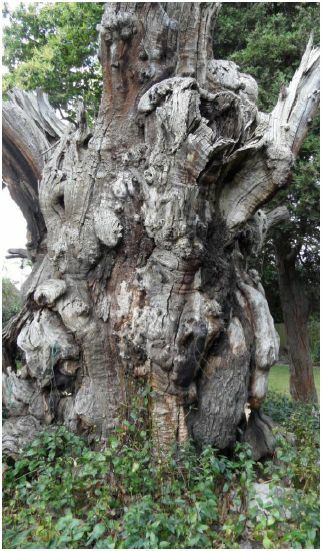 A mulberry tree in The Sanctuary is said to date to Tudor times. Humphrey Repton landscaped the gardens of Blendon in 1816 and some of his trees survive to this day between The Drive and Cedar Grove and in Beechway. Sadly some of Repton’s cedar trees were lost at the time of the 1987 great storm. But there is one tree still standing in Beechway that pre-dates Repton. 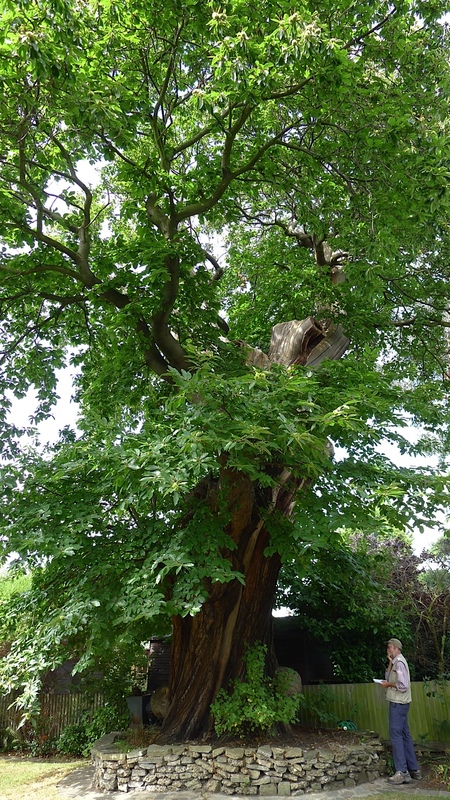 With a girth of 5.85m it is so big that its owners collect over 6 black bags of edible sweet chestnuts each autumn. There is another magnificent old tree in Blendon Drive. A line running down it suggests a lightning strike at some point in its history. Nearby are two stumps of old sweet chestnut trees, remaining as silent sentinels to times past. An adjacent garden used to have a fifth specimen. This row of five trees can be seen on an 1825 map of the estate. It is likely that they were planted together sometime in the Tudor period. This in turn asks questions of the location of the Elizabethan Blendon hall.